Definition - What does One-Legged Wheel Pose mean? One-legged wheel pose is an advanced backbend that requires strength, flexibility and balance. From bridge pose, bring the right knee in toward the chest before stretching the right foot up to the sky. Repeat with the left leg. 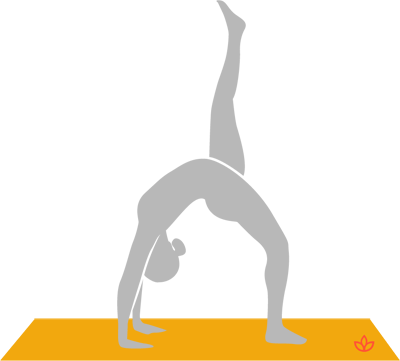 One-legged wheel pose may also be referred to as eka pada urdhva dhanurasana in Sanskrit. One-legged wheel pose is a challenging asana and a powerful heart opener. It is recommended to master one-legged bridge pose, bow pose and wheel pose before moving on to one-legged wheel pose.